here’s a surprising amount of color under your skin. Pink lungs, a rich brown liver, and the muted grey of the brain. And coursing through your veins and arteries is red, red blood. Every wondered “Why is blood red?” We have answers. Human blood isn’t just a fluid—it contains a variety of good stuff to keep your body running. Most of our blood is made up of plasma, in which all our different blood cells are suspended, and any substances carried by the blood (besides oxygen) are dissolved. “Despite plasma being the main component of blood it has a very pale color and takes the color of whatever is suspended in it,” explains Jonathan Polley, who runs Make Science Easy. “A common theory is that it is iron found in the hemoglobin that gives blood its red color, but this is not true,” reveals Polley. “The red color comes from a sub unit of the protein known as ‘hemes’ which bind to the iron. 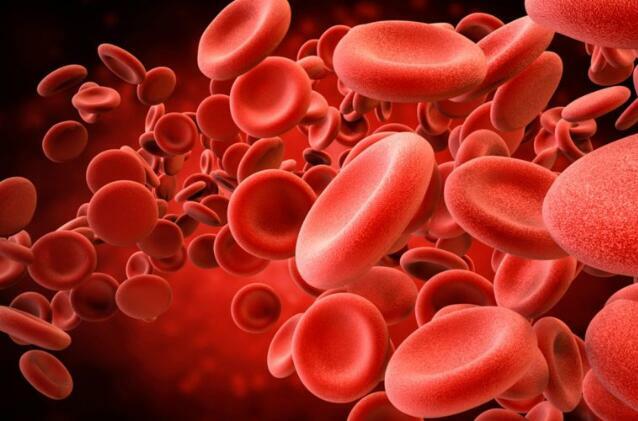 Oxygen then bonds to the iron, and it is the interaction between the heme units and the oxygen that makes blood red.” The other parts of our blood—platelets and white blood cells—have no impact on the color of our blood. As for the “blue-blooded” royals among us, they bleed red just like the rest of us. Under hypoxia—dangerously low blood-oxygen levels—the wavelengths of light reflected will reach the purple end of the spectrum.